Valid CompuHost V1 or V2 Registration Required! CompuHost Karaoke Hosting Solution V3 has been developed from the ground up with the discriminating Karaoke Hosting Professional in mind! Tens of thousands of professional Karaoke Hosts from all over the world are enjoying the industry leading list of features and unsurpassed functionality CompuHost V3 continues to offer, ensuring their shows are the very BEST around! 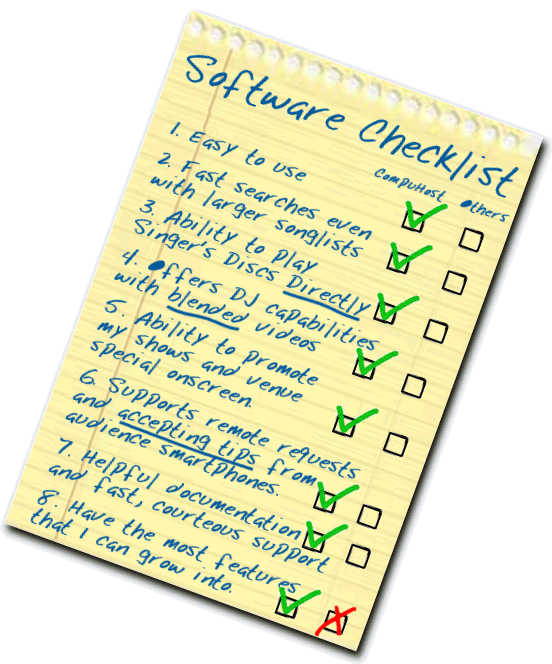 CompuHost V3's extensive feature list continues to GROW, expanding on its reputation as the MOST feature packed Karaoke Software application on the market today.. PERIOD! But don't take our word for it, we invite you to compare the incredible features and functionality CompuHost V3 has to offer below, and Try It Out Today for FREE! 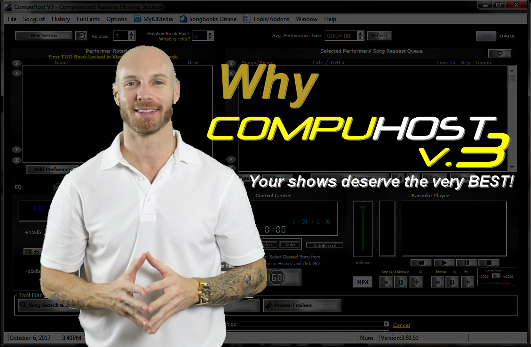 See for yourself why CompuHost V3 has earned its rightful place as the #1 choice among the worlds largest Karaoke venues, Casinos, cruise lines, and tens of thousands of Karaoke Hosting professionals worldwide! See more... THE DISCOUNTED COMPUHOST V3 UPGRADE IS INTENDED TO UPGRADE AN EXISTING COMPUHOST V1 OR V2 INSTALLATION TO COMPUHOST V3 ONLY! THE DISCOUNTED UPGRADE WILL NOT ALLOW FOR ACTIVATION OF NEW COMPUHOST V3 INSTALLATIONS. IMPORTANT! To complete your Upgrade registration and receive your Upgrade Activation Code you'll be required to provide a qualifying CompuHost V1 or V2 License ID and License Confirmation Code available ONLY when CompuHost V3 is installed on a computer with an already activated CompuHost V1 or V2 License. Already a valued CompuHost V1 or V2 User? we invite you to select the DISCOUNTED Upgrade from the Product Options below! Exciting New DJ/FillerTunes Console! 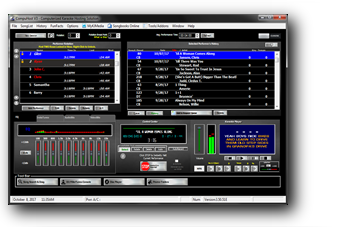 Host DJ quality dance sets and/or utilize the Advanced AutoPlay feature to FULLY automate audience pleasing Audio/Visual presentations between Karaoke performances! Adds Support for Music Video Playback between Karaoke Performances! That's RIGHT! Now you can load your DJ/FillerTunes Playlist with a variety of Audio and Video files and let CompuHost V3 automatically handle the mixing for you! Entrance your audience with the industry's most advanced Audio and Video blending and transition capabilities! New "Up Next" Video Text Overlay!! Announce the Next Performer to the Stage even when entertaining your audience with Music Videos! Exciting New User Interface with On-The-Fly Back-lighting Control!! Choose the onscreen back-lighting that best suits your environment! Support the Exciting New Songbooks Online Remote Songbook Search and Request Submission System! Imagine NO MORE messing with printed Songbooks! Offer your audience the incredible convenience of Searching and Browsing your available Karaoke selections right from their Smartphone (IOS/ANDROID)! And SUBMIT their song request directly to CompuHost V3 with a tap of a button! Fully Optimized for the latest Windows Operating Systems including the latest Windows 10! CompuHost V3 takes full advantage of the unique visual and performance capabilities of each Windows version! Supports Windows XP, Vista, 7, 8, 8.1, and 10. Self-Contained, No Relying on THIRD PARTY Applications! Industry's MOST flexible Karaoke File Cataloging capabilities! Including a "Filenaming Template Wizard", empowering you to create your own filename templates! Limitless possibilities! Full Support for the Exciting MyKJMedia On-Demand Karaoke Content Delivery System! 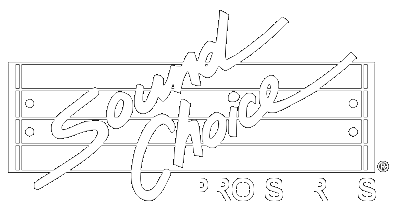 Fully Supports ALL popular Audio+G Formats, WAV+G, MP3+G, WMA+G, FLAC+G and more! Supports Playback of Video Karaoke files! AVI, MPG, WMA and MP4* w/full Pitch, Tempo and MPX control! On-the-Fly Karaoke Silence Detection! Fully configurable! 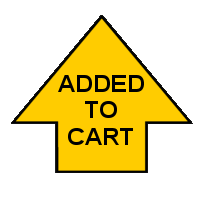 Allows for Pre-Selected and ON-THE-FLY Key Changes in � Key Increments! Exclusive, Innovative, and Fully Configurable "Preferential Collapsible Duplicates" feature! Optimize Sound Quality Utilizing the Built-In 10 Band Equalizer! Automated "AutoFade" Feature that Allows for Eloquently Terminating an Ongoing Karaoke Performance! Replace Karaoke Lyrics Background with Custom Image! Revolutionary SongBase Search Functionality! Search and Select MULTIPLE Listings w/Broad Match capabilities! SongBase Search includes Powerful "Search As You Type" and "Embedded Search" capabilities! New Full-Screen Host's (Solo) Mode feature! Great for practice sessions or Solo engagements. No need for second monitor! Innovative MP3Sentry Audio File Scanner to prevent playback of BAD/Corrupt Files! Innovative and Powerful "AutoPlay" Controller available! Including the Industry's ONLY Visual Onscreen Countdown Timer! On-the-Fly File Tagging feature. Great for tagging offensive and/or damaged files! MPX Removal Feature! Remove Vocal Channel found on MultiPlex tracks "On the Fly!" Lets YOU Control YOUR Show! Position and Reposition Performers at ANY time. Optional Full Automation available, including AutoRotate and AutoDelete. Accept UNLIMITED Song Requests from EACH Performer! Conveniently display Performer's Song Requests and Past History on Performer's/Audience Screen at a click of a button! Eliminates the Dreaded "Dead Air"! TRUE Dual-Deck Player with Automated Fading! MP3, WAV, WMA, MP4* and M4A Formats Supported! Automated Fade-In/Fade-Out between Karaoke Performances! Ability to Add Song Selections Utilizing a Simple Drag and Drop Process! Easily Reposition Playlist Entries UP/DOWN! Randomize Playlist for Non-Sequential Playback. CUE Song Selections for Next-Play. Launch CUED Selections at ANYTIME! Full-Search Capabilities in FillerTunes Playlist! Innovative "RapidSearch" Feature! Locate an audio file among tens of thousands INSTANTLY! "VideoBits Buttons" Feature Providing Static, Animated, Slide-Show and Full-Motion Video Playback! Multiple "Button Sets"! Offers 45 Fully Configurable VideoBits Buttons! Static or Animated JPG, BMP, or GIF Images. Full Motion Video Supporting MPG, AVI and WMV Formats. Multiple "Button Sets"! Offers 45 Fully Configurable AudioBits Buttons! 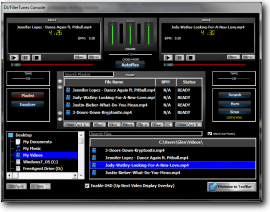 Each AudioBit Button can be configured to Immediately Playback any MP3, WAV, WMA, MP4* or M4A* Audio File. Audio Playback is "ON TOP OF" Current Karaoke Audio Output. GREAT For Applause, Cheering Sound Bits etc. Imagine, No More "When Am I Up?" Questions from the Audience! Continuous Scrolling "Marquee Type" Performer Rotation Display! Remains Visible to the Audience at ALL Times, Including During an Ongoing Karaoke Performance! Onscreen Color Coded "Performance Progress Indicator" Provided! All Onscreen Fonts and Colors fully customizable! 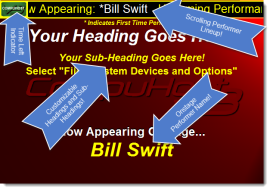 CompuHost Exclusive "Cycling Promo-Trailers" with Color-Coding and Formatting! Import/Convert Karaoke CD+G Disc Tracks to CompuHost Ready, Computer-Based Files! Convert to Standard MP3+G, WMA+G, Zipped MP3+G or Zipped WMA+G Files! Variable Bit Rate Support! Better Quality, Less Space! Automatically Catalogs Ripped Tracks During Ripping Process! Incorporates the latest in Advanced Error Correction technologies, greatly improving the quality of ripped Audio+G files! Faster Ripping Speeds with Single Pass Technology! Supports Both Zipped and Standard MP3+G/WMA+G Formats. Automatically Record Karaoke Performances to CD/DVD-Ready MP3/WMA/WAV Files! Resulting Audio Files are Uniquely Named and Stored for Easy Recall! Recordings can be Automatically Added to FillerTunes Playlist! 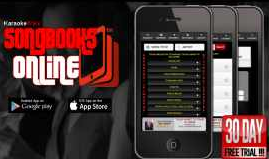 Tracks statistical data such as Most Performed Song, Most Performances etc.! Ability to Printout "FunFacts" Reports! New File Selection Dialog allows for rapid File Searches including "Subfolder Searches"! Innovative New InstaFolder Buttons! Get to your preconfigured folder instantly with a click of a button! Exciting New "Global HotKey" Support! Fully Configurable! * Properly installed and configured third party MP4/M4A DirectX compatible codecs and filters required. 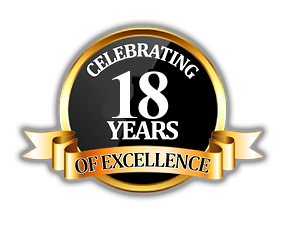 I would like to subscribe to your Newsletter and receive notifications about special promotions, new product releases and updates! Please provide your FULL Name, VALID Email and how you found us!